General Meeting at Bishop DuBourg High School Cafeteria Entrance through the front or rear. Doors open at 6:30 p.m. Meeting starts at 7:00 pm to 8:30 p.m. 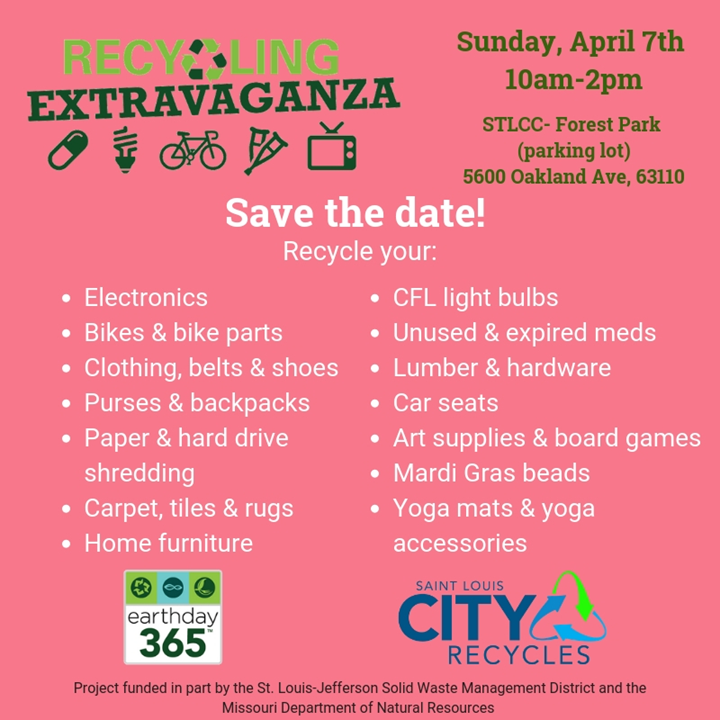 HEAR FROM “BETTER TOGETHER STL’S” DIRECTOR OF COMMUNITY BASED STUDIES, MR. DAVE LEIPHOLTZ, OUR GUEST SPEAKER. 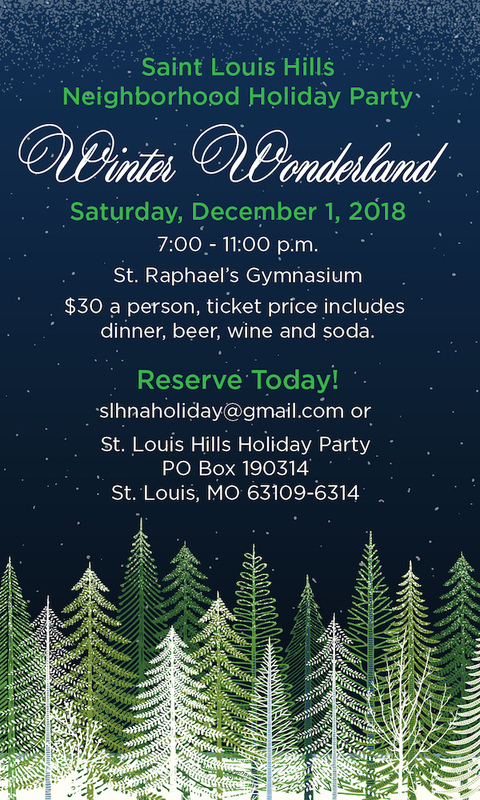 **Renew your $30.00 memberships this night, with the St. Louis Hills Neighborhood Association, volunteer for one of our open committees, and pick up the latest newsletter. We look forward to seeing you! This entry was posted in Home on February 21, 2019 by Jesse Rehmer. 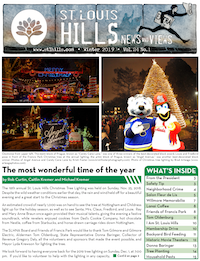 The Holiday Tree Lighting Ceremony is Sunday, November 25th, from 7:00 p.m. to 9:00 p.m. We’ll have free cookies, hot chocolate, carriage rides from Stl Carriage Company and a special visit from Santa and Mrs. Claus. Fred-Bird and Louie are kicking off the season too! Held at the Childress Ave and Nottingham Ave (North) intersection of Francis Park. We hope to see you there! If you would like to volunteer to hand out cookies and hot chocolate let Rob Curtin know! This entry was posted in Home on November 13, 2018 by Jesse Rehmer. This entry was posted in Home on November 9, 2018 by Jesse Rehmer. 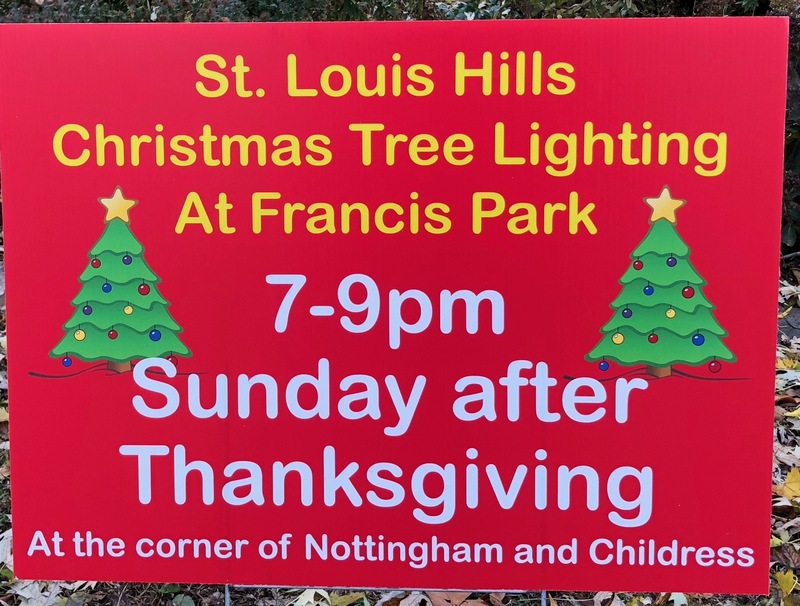 Friends of Francis Park and the St. Louis Hills Neighborhood Association invite you to join your neighbors on Saturday, November 10th at 8:30 a.m. Tamm Ave and Nottingham Ave, for Francis Park Clean-Up and planting of 45 Trees. Holes already dug. However we need lots of help planting! Bring your own garden tools or we will provide. This entry was posted in Home on November 6, 2018 by Jesse Rehmer.